Ruby Hospitality represents a unique collection of hotels, restaurants and historic theaters throughout the inland Northwest. 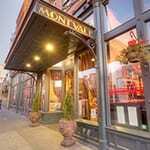 Our flagship hotel, the Hotel Ruby is located in the theater district of downtown Spokane, Washington. 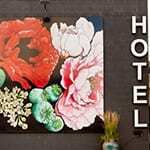 A redesigned roadside motel, the Hotel Ruby combines motel-chic with distinctive modern art. 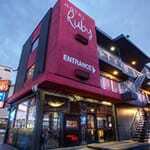 In addition to the Ruby River Hotel and Hotel Ruby, our other Spokane properties include Ruby2, The Montvale Hotel, Ruby Suites, The Sapphire Lounge at Hotel Ruby, The Montvale Event Center and the Bing Crosby Theater. For travelers looking to explore nature, visit Hotel Ruby located in the resort town of Sandpoint, Idaho. Welcome to Hotel Ruby, located in the heart of downtown Spokane. We provide comfort, style and value in a cozy setting. The Hotel Ruby staff is dedicated to personalized service. Please let us know how we can help you! Surround yourself with downtown Spokane’s art and entertainment culture. Only steps away from the city’s most popular destinations such as shopping, great restaurants, the historic Bing Crosby Theater, Riverfront Park, the Fox Theater and the best of Spokane. At the end of the day, relax in our own Sapphire Lounge. 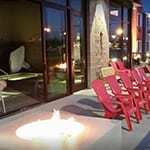 Visit the Hotel Ruby Ponderay in Sandpoint Idaho near Schweitzer Mountain. Whether you’re interested in golf, skiing or adventure we are near it all. Ruby Suites presents a fresh concept specializing in stays of 30 days or more. 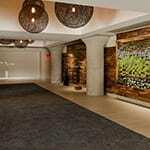 The property uniquely combines the comforts of home with the convenience of hotel services and redefines apartments and hospitality in the Inland Northwest by combining comfortable furnishings, state-of-the-art amenities and quality service. RUBY SUITES PROVIDES A SEAMLESS TRANSITION WHETHER YOU ARE HERE FOR AN EXTENDED VACATION, JOB PLACEMENT, RELOCATION OR LIFESTYLE CHANGE. Swing on over to the Sapphire Lounge and enjoy our romantic, artistic atmosphere while indulging in some of the best drinks Spokane has to offer! 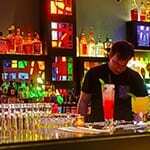 Our team of talented bartenders are serious about creating great drinks and delivering outstanding customer service. We feature northwest breweries, boutique wineries and local artists! 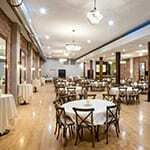 For your next special event, celebrate in style at the historic Montvale Event Center. Our renovated event venue is located two doors down from the Montvale Hotel in the historic Odd Fellows Building and consists of a theater, ballroom, and full commissary kitchen. Built in 1915 by August Paulsen, the Bing Crosby Theater was originally used as a silent film movie house. 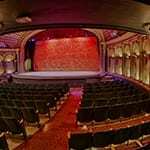 Restored in 1988 the theater now serves as one of Spokane’s greatest entertainment venues.